A high-load upgrade on a design classic. Wishbone Plus is essentially the heavyweight version of the classic Wishbone. 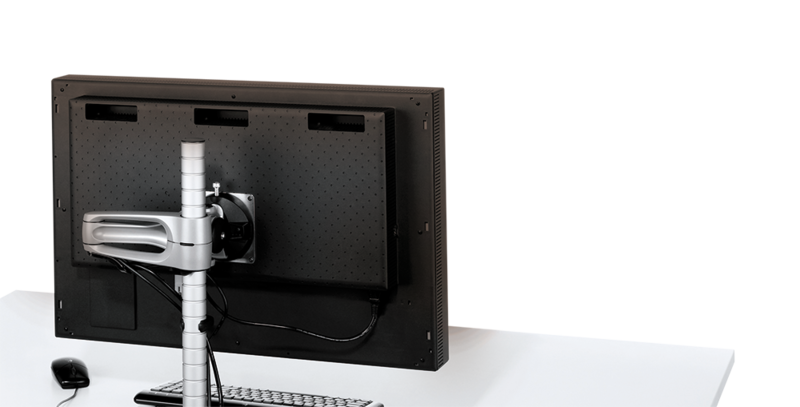 Designed to meet the requirement for heavier screens, it can support weights of up to 24kg, comfortably supporting the majority of larger format screens, iMac’s and all-in-one PC/Monitors. 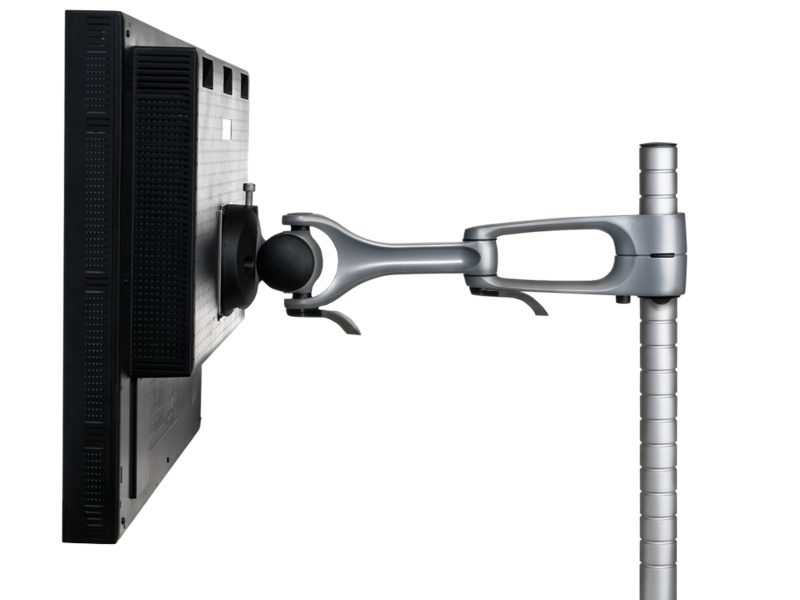 Wishbone Plus has all the benefits of the original arm including quick screen release, portrait-to-landscape screen positioning, and a wide range of post heights and fixing options. When positioning multi-screens, sometimes they can fall out of alignment. 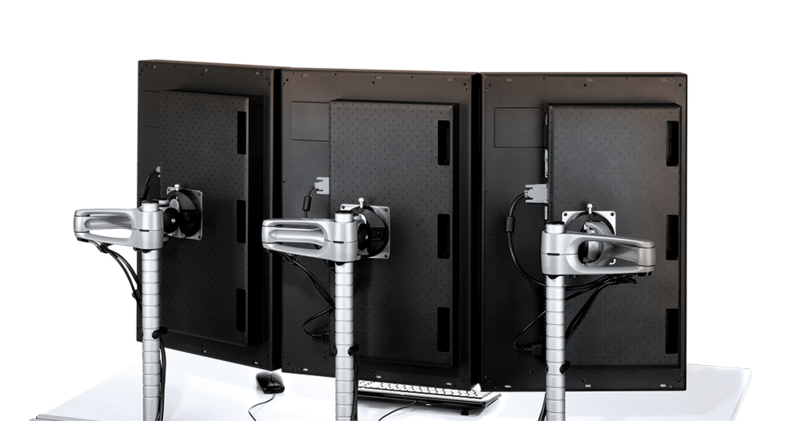 Using our Fine Height Adjustment feature this can be easily corrected to create perfect screen alignment.